Marc Jacobs cosmetics aren't something you see a lot of here in the UK, and even online I could only find them on Net-a-Porter - Harrods used to sell them online but for some reason they have stopped. From the few products I have previously tried, I have been really impressed, and so I thought it was about time I tried out one of their foundations. It is often pretty hard to find a correct foundation shade online, but I stuck with one of the lighter shades as I have quite fair skin, and I am pretty happy with the colour. 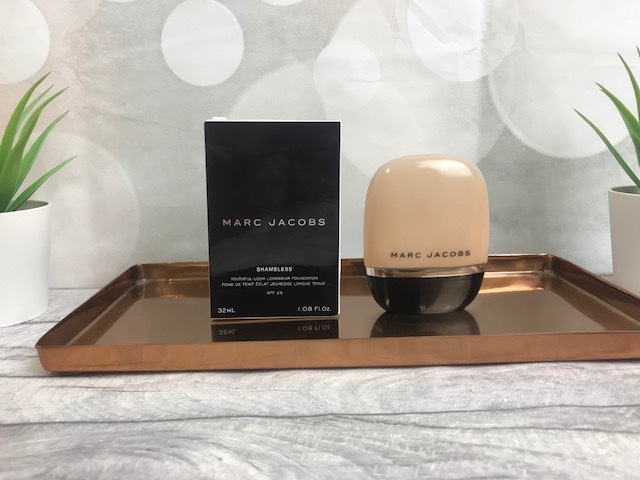 Marc Jacobs have quite a few different foundations available, but I opted for the Shameless Foundation, which is described as a 'Youthful-look Longwear Foundation'. I do prefer long-wearing foundations and as I am very nearly 35, I figure an anti-ageing product would do me good. (Yes, I know you're supposed to start using them in your twenties, but I am in denial). Shameless comes in a simple black, white and silver box, with the foundation itself in a plastic squeezy container, so it is easy to distribute the product out. On Net-a-Porter, there are 26 shades available in the Shameless foundation, and I opted for Light Y210, which is suitable for light complexions with yellow undertones. The foundation has SPF 25 formulated in with it, which I think should be necessary with foundations, especially in this day and age. 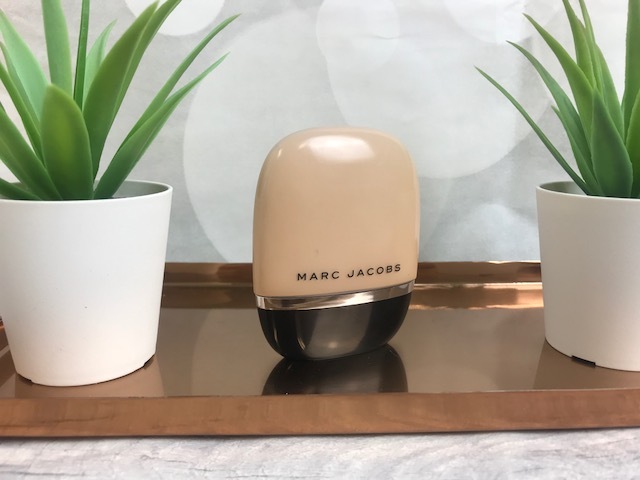 Unfortunately, not all foundations do, so props to you Marc Jacobs! Shameless Foundation is a super lightweight liquid formula which I find blends into my skin really easily. Even though it is a long-lasting foundation, it doesn't feel at all uncomfortable on the skin and doesn't seem to cake which with my pores, sometimes is the case. As mentioned, it is a long-lasting foundation, and sure enough it did last throughout the day on my skin without the use of a setting powder or setting spray. I can be a little lazy with makeup during the week whilst I am at work, and so this product is a current go-to as it requires so little effort and also keeps my skin protected from the sunshine. When that sunshine decides to make an appearance. 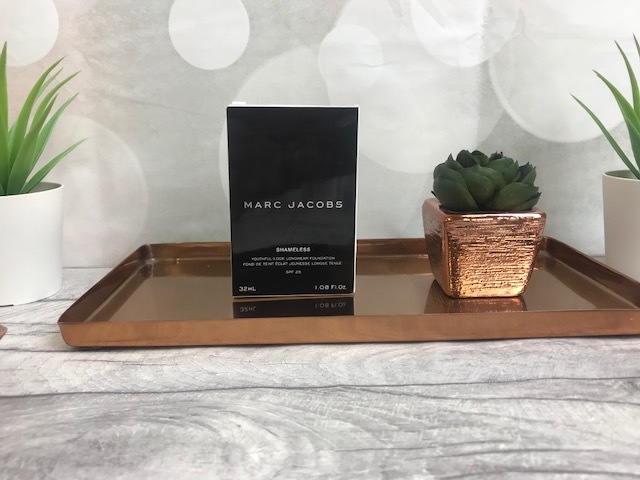 Marc Jacobs Shameless Foundation costs £32 for 32ml and is available online at Net-a-Porter.